I have no memories of my life as a fire. All the rooms empty to the same hallway. with cardboard models of friends. This helped with the smiling schedule. a sun with a missing tongue. Have you ever seen a bird need therapy? and are done with it. If I lean against a minute, will anything finally burst? If I were the other self again, would I still hear the air? Note: “The Air's Home” is part of a larger mixed-media serial poem that Toni and I are working on. 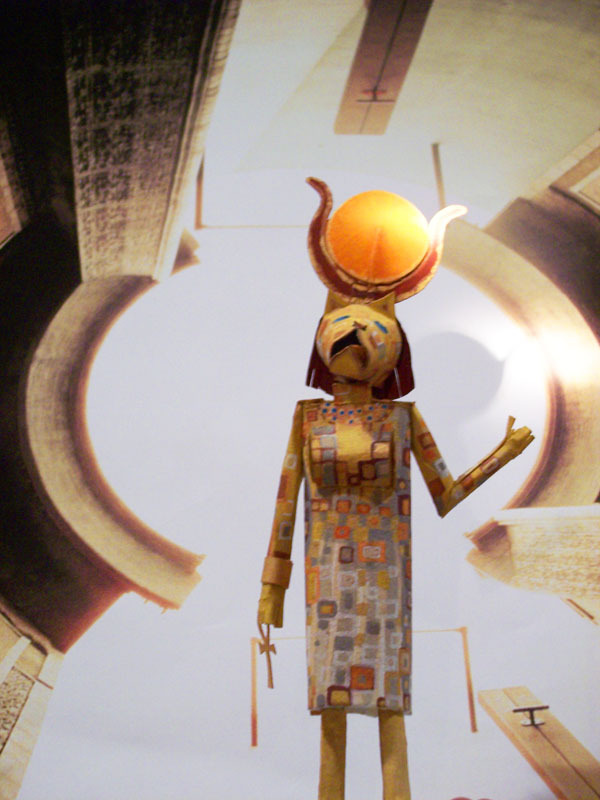 Toni makes small-scale paper sculptures of Egyptian deities, and we take pictures of them interacting with various settings around New York City. 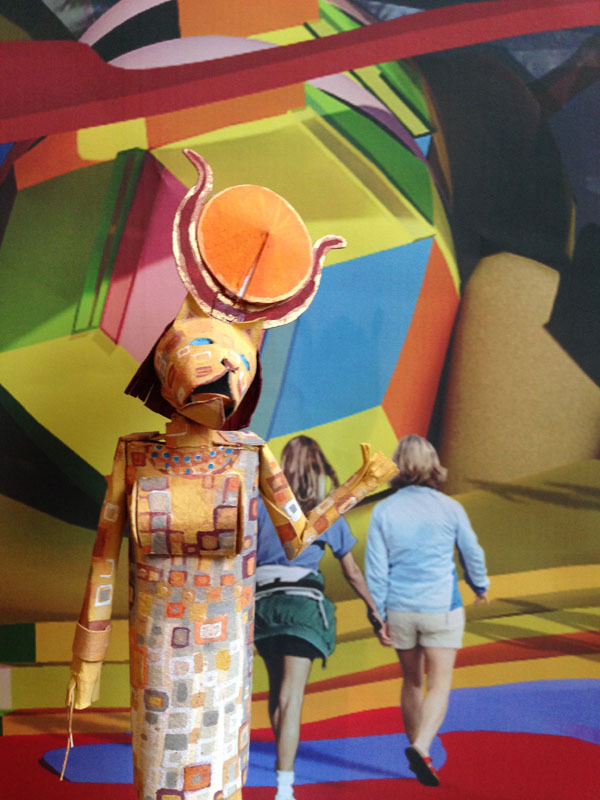 For this section of the project, we had Toni's model of Bastet visit Gins and Arakawa's Reversible Destiny Studio, so we view it as collaboration not just with each other but with Gins and Arakawa. We hope it serves as a tribute to their important, beautiful work. 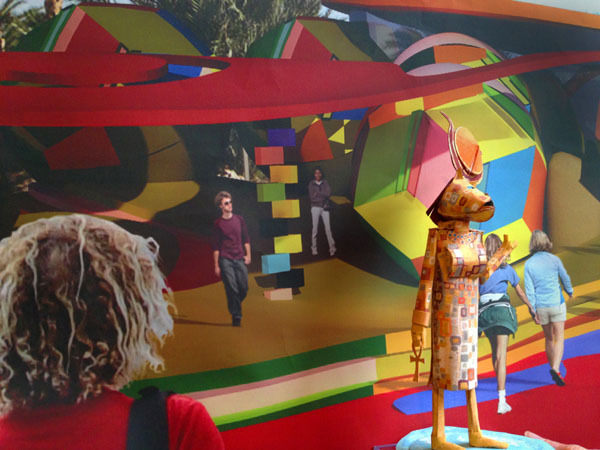 We first visited and took pictures at the Reversible Destiny studio in 2011, and then went back last year after Madeline’s death to reshoot some of the images. On our last visit, the ankh (the ancient symbol of eternal life) dropped off and stayed behind at the studio—perhaps a sign of Gins’ lingering presence. 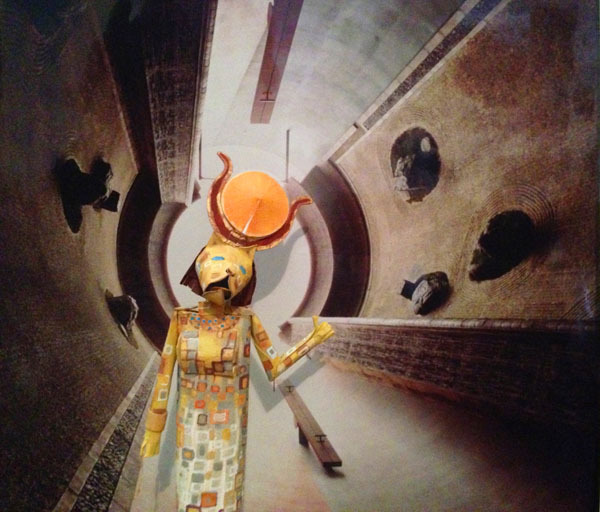 To read more about Gins and Arakawa and the Reversible Destiny Foundation’s work envisioning an architecture to defeat death, please visit: reversibledestiny.org"
Toni Simon is a multi-media artist living in Brooklyn. Her illustrated book Earth After Earth was published by Lunar Chandelier Press in 2012.